My son is five. Lord. Half a decade of reading aloud... non-stop. Whew. Man, my vocal cords need a rest, and after a weekend of partying five-year-old style, a foot massage wouldn't hurt either. That said... I'm gonna begin giving away some of his books that he's not that attached to, beginning with today's Great Monday Give... a swanky design-ish book I reviewed a while back... a book that was featured when boing-boing gave me a shout out, Welcome Home, Henry. All you have to do be entered to win this awesome vintage book is comment on this post before Sunday, May 9 at 11:59 PM. A winner will be selected at random and posted the following day. As was the case with last week's give of John Burningham's Mr. Gumpy's Outing which I will be sending to pambelina as soon as she e-mails me her shipping info to webe(at)soon(dot)com. Now time to sleep for a million years. Zzzzzzzzzzzzzz. This book sounds like fun. Please enter me ~ this looks like a cute read! I am sorry for your vocal chords, but love the books you recommend! 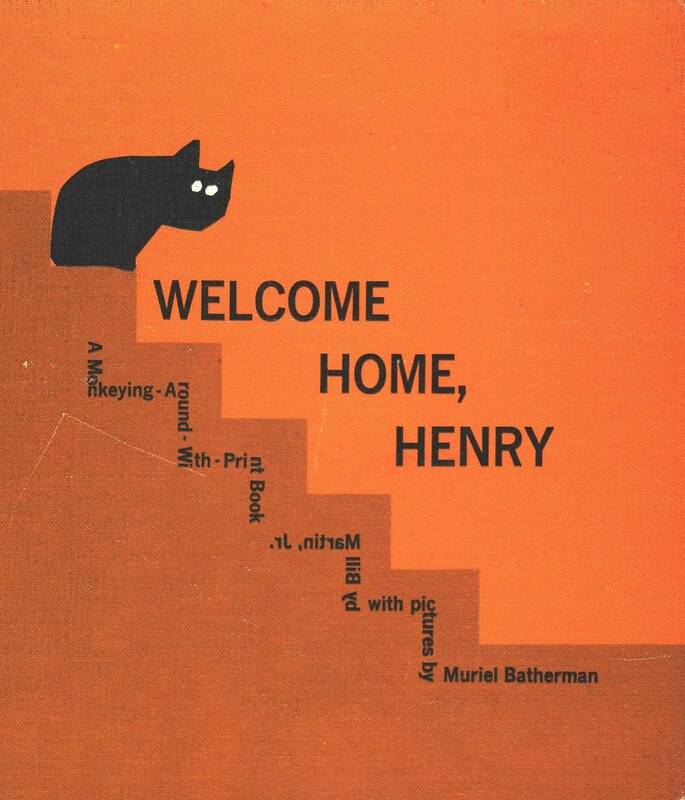 yes, please, to Welcome Home Henry! My son might be too old for it, but I'm not! Happy birthday to your son! Also, this book looks adorable. Bill Martin Jr. is right up there on my list of favorites. And books with black cats in them are always welcome at our home. Bill Martin Jr. is a fave around this house...and books with black cats in them are always welcome here. A Bill Martin Jr is always welcome at this house...my 5 yr old son is "reading" Life Story over the past 2 weeks. I hope Kindergarten can keep up with him! Congratulations to all of you. This book looks fantastic. Thanks! Happy birthday to your son! 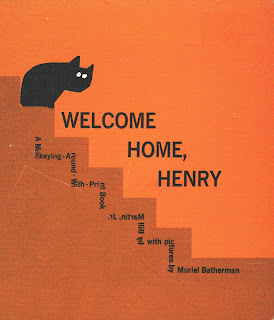 I first found out about this blog from Boing Boing, when they featured _Welcome Home, Henry_ the first time around...and of course I had to click because my nephew's name is Henry. cool! love your book give aways! We've got a lot of the Bill Martin Jr. mini-hardcovers with strange wordplay in our house... I love them more than my son, but he loves looking through them. Five! Congratulations. The book looks delightful. Always enjoy a peek at your blog. This looks awesome - I might have a hard time sharing this with my little person! My nieces and I read books in every accent we can muster and I'd love to try this one with them! thanks so much! This book sounds like a terrific edition to show to my young art students and for me to secretly treasure. I love children's books. Please enter my name in the giveaway for the book. Thanks! I love vintage childrens books. This looks cute! Count me in.